I came across a blog, Books in Brief, that publicizes books that deal with the Vietnam War and Vietnam veterans only. If you like memoirs, this is a good place to get suggestions. Most library systems can get you these books via Interlibrary Loan so you can read them freely. I would love to see ASKNOD reviewed on the site too. 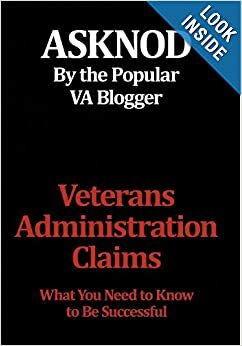 This entry was posted in ASKNOD BOOK, Guest authors, NEW BOOK and tagged Agent Orange, asknod.org, asknod@wordpress.com, Helping Veterans, VA claims, Veterans claims help, Vietnam Veterans Claims Help.. Bookmark the permalink.